Banking can be defined as the activity of accepting the deposits from the general public and the entities, and then lending that money to earn profits. The article Banking History – Key Points presents the definition of banking and some key points related to the banking history. But now the banking is not only including deposits and loans but also includes providing services like issuance of debit and credit cards, providing safe custody of valuable items, lockers, ATM services and online transfer of funds across the country / world. 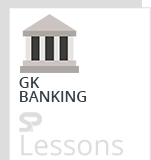 Bank is a financial institution that performs the banking activity i.e. it accepts deposits and lending of funds to earn profits. Any company, which transacts the business of banking defined above is termed as Banking company. The first bank of a joint stock variety was Bank of Bombay, established in 1720 in Bombay. This was followed by Bank of Hindustan in Calcutta, which was established in 1770 by an agency house. The General Bank of Bengal and Bihar, which came into existence in 1773, after a proposal by Governor (later Governor General) Warren Hastings, proved to be a short-lived experiment. The first ‘Presidency bank’ was the Bank of Bengal established in Calcutta on June 2, 1806 with a capital of Rs.50 lakh. The bank was given powers to issue notes in 1823. Bank of Bombay was the second Presidency bank set up in 1840 with a capital of Rs.52 lakh, and the Bank of Madras the third Presidency bank established in July 1843 with a capital of Rs.30 lakh. With the collapse of the Bank of Bombay, the New Bank of Bombay was established in January 1868. The Presidency Bank Act, which came into existence in 1876, brought the three Presidency banks under a common statute and imposed some restrictions on their business. The first Indian owned bank was the Allahabad Bank set up in Allahabad in 1865, the second, Punjab National Bank was set up in 1895 in Lahore, and the third, Bank of India was set up in 1906 in Mumbai. All these banks were founded under private ownership. Swadeshi Movement of 1906 provided a great impetus to joint stock banks of Indian ownership and many more Indian commercial banks such as Central Bank of India, Bank of Baroda, Canara Bank, Indian Bank, and Bank of Mysore were established between 1906 and 1913. The late Shri Vithal L Kavthekar pioneered the urban co-operative credit movement in the year 1889 in the then princely State of Baroda. The first registered urban co-operative credit society was the Conjeevaram Urban Co-operative Bank, organised in Conjeevaram, in the Madras Presidency. The presidency banks were amalgamated into a single bank, the Imperial Bank of India, in 1921. It also functioned as a central bank prior to the establishment RBI. The Imperial Bank of India performed three set of functions, viz., commercial banking, central banking and the banker to the government. By 1930, the number of commercial banks increased to 107 with the Imperial Bank of India still dominating the Indian banking sector. Indian Central Banking Enquiry Committee was set up in 1929 to survey extensively the problems of Indian banking, observed that a central bank be established for the country. Reserve Bank of India Act 1934 was enacted paving the way for the setting up of the Reserve Bank of India. The issue of bank failures and the need for catering to the requirements of agriculture were the two prime reasons for the establishment of the Reserve Bank. The banking sector came under the purview of the Reserve Bank in 1935. The Government, therefore, first implemented the exercise of nationalization of the Imperial Bank of India with the objective of “extension of banking facilities on a large scale, more particularly in the rural and semi-urban areas, and for diverse other public purposes”. The Imperial Bank of India was converted into the State Bank of India in 1955 with the enactment of the State Bank of India Act, 1955. As per the Reserve Bank of India (RBI), India’s banking sector is sufficiently capitalized and well-regulated. Public-sector banks control more than 70% of the banking system assets, thereby leaving a comparatively smaller share for its private peers. Banks are also encouraging their customers to manage their finances using mobile phones.